Tonight I tried a new tea and thought I would share it with you. It was a very delicate floral green tea. 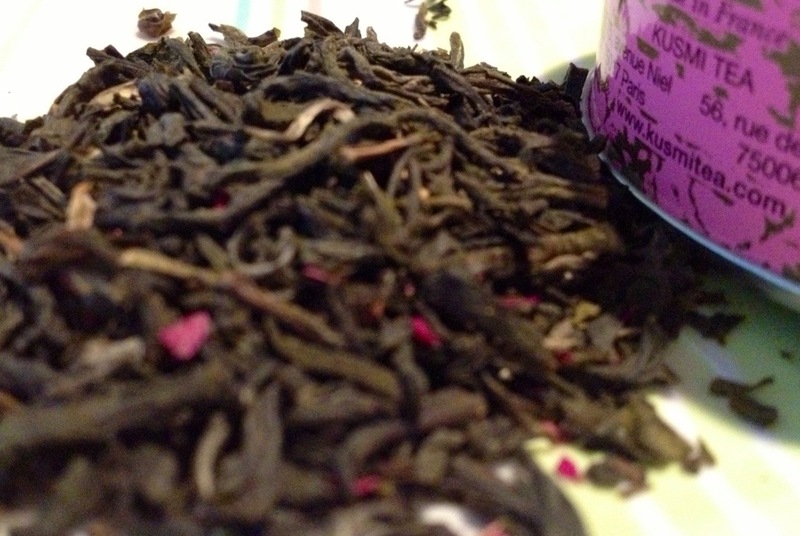 Just looking at the tea leaves you could see pretty pink rose petals mixed in with the green tea leaves. It was a great cup for a relaxing evening tea. The packing of Kusmi is always so beautiful. The suggested prep for this tea is: 3 – 4 minutes, 176 degrees and has a low level if caffeine. If you would like to check out more on Kusmi check out their website. A Kusmi Tea shop just opened on our high street but I haven’t ventured in yet.